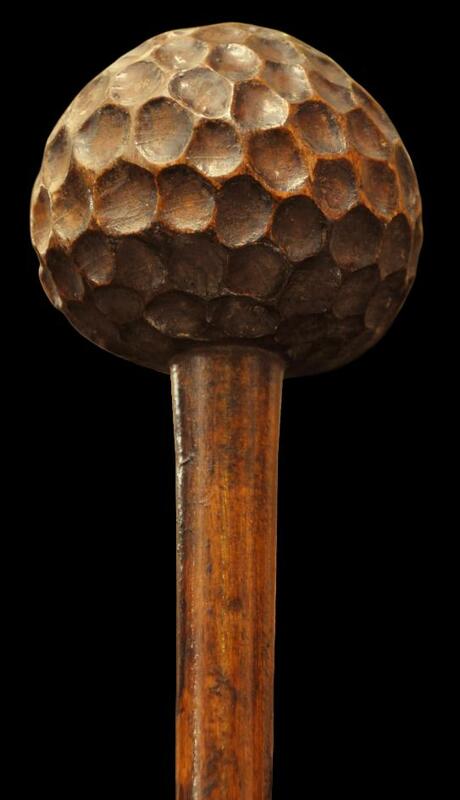 This Zulu club or knobkerrie is of hardwood, with a large, solid spherical head carved with a honeycomb patterned surface. The handle is of plain, cylindrical form. It is heavy in the hand. 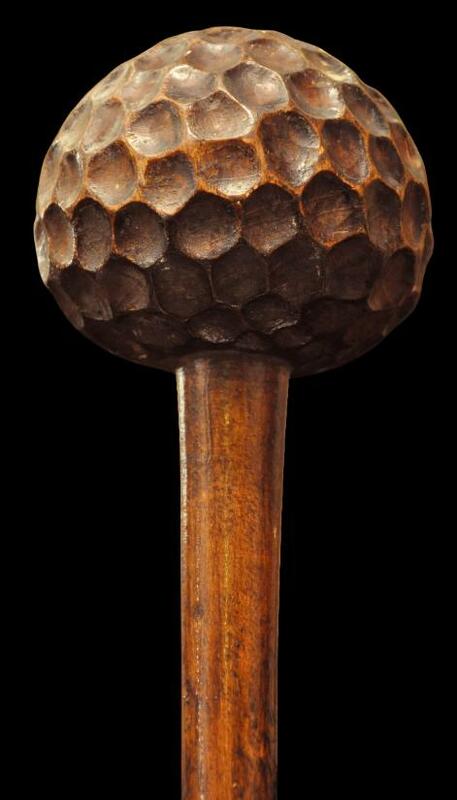 Traditionally, a Zulu man always carried a knobkerrie. This example has a superb, honeyed patina. It was sourced from with in the UK and almost certainly has been in the UK since colonial times. 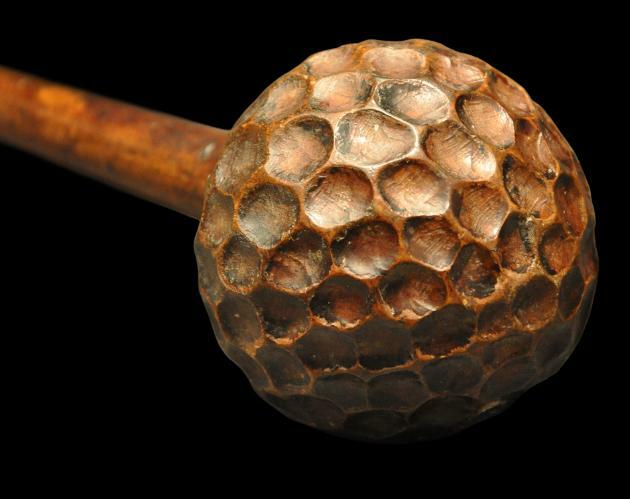 The term ‘knobkerrie’ or ‘knobkierrie’ derives from the Afrikaans word ‘knop’, meaning ball or knot, and the word ‘kierrie’, meaning cane or walking stick. 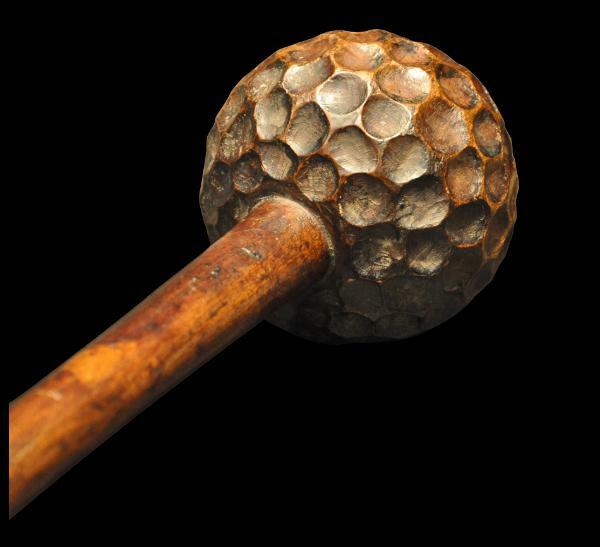 Not only Zulu people used knobkerries as weapons of battle but also the Nguni and Xhosa people. Examples with honeycomb heads are known but relatively rare. This example is of good size, excellent condition, and with a patina that amply justifies a nineteenth century attribution. Phillips, T. (ed. ), Africa: The Art of a Continent, Prestel, 2004.